Borrowers | Del Toro Loan Servicing Inc.
Who is Del Toro Loan Servicing? We are a licensed, bonded and insured company retained to oversee the collection and application of your loan payments; we are not your Lender.. In some cases, we are also retained to mediate matters between Borrower and Lender. What do I do if my loan is transferred to or from Del Toro? Please review your “Welcome Packet” for instructions and our website for general questions. Anytime you receive requests to make your payments to a new service provider, you are encouraged to call your previous Servicer to confirm the transfer to avoid potential fraud. Questions for our team should be directed to 619-474-5400. During the 1st 90 days of the transfer, you are not considered late if your payment was received by either servicer within your grace period. If a loan is secured by California real property containing one-to-four residential units, California law requires the old and new servicing companies to deliver notice to the borrower when the servicing/collection function is transferred and no less than 14 days prior to the first due date with the new Servicer. This is required whether the transaction is subject to RESPA or not. You can also contact one of our representatives at 619-474-5400. Payments are posted daily, as received and are credited the business day on which they are received. Online payments take two business days to be received by Del Toro. You are able to see if your loan payment was received by logging in to your Online Account after 5:00 p.m. PST. For instructions on how to setup online access, please call our loan servicing department during business hours. Can I setup Auto-Pay through Del Toro? When is a payment considered late? A due date and the terms of the late fee are specified in your loan documents. If there is a grace period, the late fee will take effect after midnight on the last day of the grace period. Payments must be RECEIVED by our office prior to this time to avoid a late fee. Will Del Toro waive a late fee? Del Toro Loan Servicing, Inc., is not the lender, but rather, the Loan Servicing Company. As such, Del Toro is responsible for enforcing the terms of the Note. If the Note contains provisions for a late fee, Del Toro generally must enforce those provisions, unless the Lender is willing to waive them. That said, circumstances can arise that are beyond the borrower’s control, and Del Toro Loan Servicing is committed to working with borrowers to ensure their satisfaction to the best of Del Toro’s ability. Many factors must be considered in determining whether to waive a late fee including payment history, the amount of money that is late, the amount of remaining principal on the Note, and, perhaps most importantly, the REASON the payment is late (death in the family, hospitalization, unexpected hardship expense, etc.) Del Toro Loan Servicing, Inc., can make no guarantees about waiver of late fees until all of these factors have been considered, and each request is examined on a case-by-case basis. If we feel there are mitigating circumstances, we can call the lender on your behalf and ask for them to waive the fee, but we cannot make any representation that the lender will agree. If the expected delinquency is as a result of funds becoming available within the approved payment window, but too late to send by mail and have the funds received by Del Toro Loan Servicing, Inc. prior to the expiration of the grace period, it is possible to make a payment over the telephone. Call Del Toro Loan Servicing, Inc., at 619-474-5400 and ask to speak with one of our Loan Servicing Representatives. Please be advised that there is Del Toro charges a $15.00 processing fee for a telephone payment. The best option is to enroll in the Borrow Auto Debit Program. You can enroll in that program by visiting our website or calling Del Toro at 619-474-5400, and asking that a link be sent to you via email. How can I tell if you have received a payment? You can view account activity on our website (visit our “Homepage”). The website is updated with all of the day’s activities by 6:00 p.m. PST. For instructions on how to setup online access, please call our loan servicing department during business hours. Does Del Toro Report to Credit Bureaus? It is possible that your payment history will be reported to one or more of the major credit bureaus. A payment history is always requested by refinancing lenders if your loan is not reported via a credit bureau. How are Borrower’s payments applied? Payments received will be applied in accordance with the terms of your mortgage note; where there is ambiguity, our policies and procedures will aid in posting. Can a Borrower send in extra money? This is known as a partial prepayment. The extra money may be applied assuming your loan is current and has standard application requirements; please check your Promissory Note / Mortgage and any applicable Riders for details. Any amount, over and above the regular payment amount, will be applied first to any outstanding charges (late fees or interest) and then to principal. Additionally, if your Note has a prepayment fee, the extra monies paid could trigger a penalty. Please examine your Note carefully to determine if a prepayment penalty applies before sending extra money. Does Del Toro place funds in escrow for Taxes and Insurance? We do; please discuss the process with one of our Loan Servicing representatives. We are not responsible for fees or penalties if we did not receive the necessary invoices and/or funds in time. A portion of your monthly loan payment goes into an account to pay for your insurance premiums and property taxes. This is called an Escrow Account, or in some states, an Impound Account. During the year, payments are disbursed out of this account as bills become due. Del Toro MUST receive your invoices and sufficient funds at least 30 days before they are due. How can an impound account be cancelled? 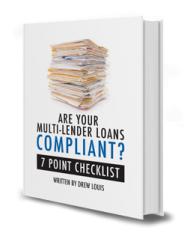 We must receive written instructions from both Borrower and Lender. If I am not able to make my payment on time, should I notify you? Please do. The more communication we have regarding your situation, the easier it is to work with you. Please review the information available by clicking the “Financial Hardship” link on our homepage. While we are responsible for collecting your payments in a timely fashion, we also understand that hardships can arise. We cannot promise you a particular resolution, but we will contact the lender on your behalf and attempt to mitigate any consequences arising from a late payment. What happens if my bank rejects my check on online payment? You will be notified by our office that the payment was returned; you should check with your bank for the reason why it was rejected. If a payment is not honored or is unable to be processed Del Toro will assess a fee on your account (min $15.00), as allowed by law. Your account may be assessed a late fee if certified replacement funds are not received by our office within your Grace Period. If I am delinquent and cannot make a payment in the foreseeable future, what steps can I take to avoid foreclosure? Your Lender may grant you additional time to catch up on past due payments under an agreement called a forbearance plan. These plans are normally limited to a period of three to six months. You may be required to submit current financial information to determine whether you are eligible for this option. A loan modification changes the repayment terms reflected in the note. If you are unable to pay the total amount outstanding or your loan has matured, this may be an option. Your loan could be modified to extend the term, convert an adjustable rate mortgage to a fixed rate loan, amortize the monthly payment over a longer period or add the past due balance to the outstanding principal balance to bring the account current. You may be required to submit current financial information to determine whether you are eligible for this option. Sometimes the best resolution to a default is the sale of the property. You have the right to sell the property to someone else up until the foreclosure sale date. If the potential buyer’s offer is not sufficient to pay off your loan, we may agree to accept less than the total amount due under certain conditions. This situation is called a “short sale.” Contact us before accepting a contract on the property for less than the total amount currently outstanding on your account to determine whether this option is available to you. If you are unable to afford the current contractual payment and there are no other liens reflected on title to the property, we may allow you to deed the property back to us to avoid the time and expense of a foreclosure action. We are hopeful that we can help you work through your current financial difficulties but we need your cooperation to do so. Remember, time is of the essence. The sooner you contact us, the faster we can work together to get your account back on track. If you do not contact us and advise us of financial hardship, or fail to respond to our attempts to contact you, serious consequences could result. Technically, if your payment is late, you are in default, and your lender (depending on the terms of your note) likely has the option of proceeding with a judicial or nonjudicial foreclosure. If you are foreclosed upon, your property will be sold at auction, and you will be evicted. While we can make no promises that your lender will not foreclose on your loan, we can promise that you have a much better chance of avoiding such a result by staying in close contact with us and advising us of any potential delinquencies before they occur. Can I get a copy of my Note and/or loan history? Of course you can, however if the purpose of obtaining the note and payment history is because you wish to refinance your loan, Del Toro Loan Servicing, Inc., may be able to save you time and money by contacting your lender on your behalf and requesting a refinance. Of course, we will need the reason for the refinance, and we cannot guarantee success. However, we have found that, generally speaking, we have greater success at obtaining favorable refinancing terms than individual borrowers attempting to go it alone. If you need to change your address, Del Toro needs to know if you are physically moving. Please call us at 619-474-5400 and speak with a Loan Servicing Representative. Also, you will need to complete a change of address form, and notify your lender. We can notify your lender on your behalf with your consent.